THOUGHTSKOTO Thoughtskoto : Should Every Car Have A Dash Cam? Dash cameras are getting popular nowadays. This thing typically records the incident on the road and it is now common for a police to ask for a dash cam footage if someone met an accident. Dash cameras can prove who is at fault in accidents and many said it can make road a lot safer. Here in the Philippines, there is a bill pending in the House of Representative that seeks to make dashboard cameras a mandatory in all vehicles. House Bill No. 6265 or the "Dashboard Camera Act of 2017," introduced by Representative Rozzano Rufino Biazon, gives car manufacturers six months to ensure that all its model is fitted with dash cams once put on the market. Under the Bill, the Land Transportation Office will reject the registration of vehicles with no dash cams while public utility vehicles (PUV) operators will not be given a franchise if they fail to comply. PUVs already in operation prior to the effectivity of the measure should comply with requirements upon renewal of registration, or not later than six months from the issuance of implementing rules and regulations. The LTFRB will be in charge of maintaining an archive of all recordings from vehicles involved in traffic accidents. The videos will be confidential, and their use, viewing, disclosure, or publication will not be allowed, except for use as evidence. 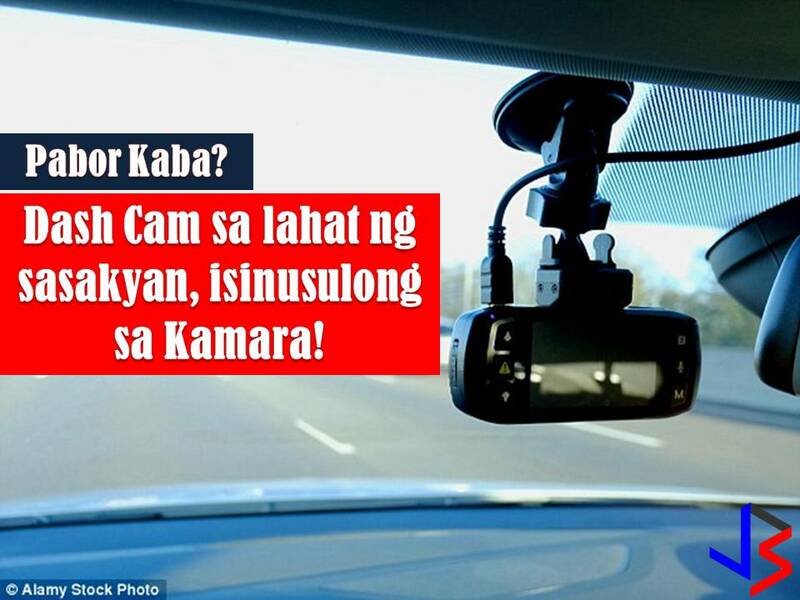 Those who tamper with dashcams or fail to provide videos upon order of the LTFRB will likewise be meted fines. Meanwhile, in the Senate, the Senate Bill 1457 or the Dash Cam Law is still pending.